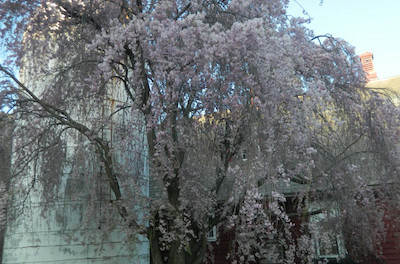 Cherry blossom in front of the barn at Lusscroft Farm. WANTAGE, NJ – One more powerful turn of the wheel makes seven this year; and in the last year turning, Brian Hennessey, co-founder of the Medicine Wheel Community Garden at Lusscroft Farm has passed. The 7th Annual Medicine Wheel Community Garden Celebration & Festival, to be held on May 16 and 17th, will honor the hard work of both Hennessey and Paul Cardillo, who together built this garden up from the dirt, starting with just a shovel. The festival, referred to as a “block party”, was organized to celebrate the rich local history and community surrounding the garden with plant walks, workshops, and demonstrations, art, crafts, and live music. The Friends Of the Medicine Wheel have a goal this year to build a deeper sense of community. 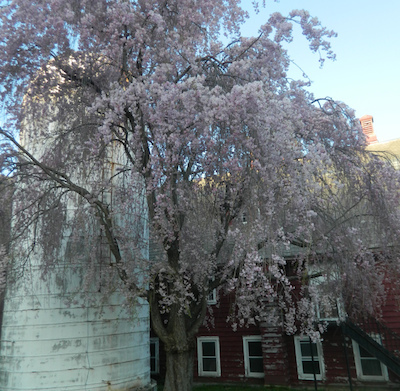 Lusscroft Farm is a historic and scenic farm in Wantage, NJ, with roots reaching as deep as the Lenape Indians. More recently, it had been operated as an agricultural research facility by Rutgers University and an outdoor education center for the 4-H youth program, and then, about fifteen years ago, the land lay fallow. In this year, a vision came through both Kelly Lyons and Jessikah Towle Krause of a community space that would bring people together, the land called to them, and they shared this vision with Hennessey. The land is now part of High Point State Park, open daily to the public and the festival is presented by the Friends Of the Medicine Wheel under the Heritage and Agriculture Association in cooperation with NJDEP/ Div. of Parks & Forestry. “The Garden Without Fences and Classroom Without Walls” initiative began in the Spring of 2009, as volunteers planted The Medicine Wheel Community Garden, a 48 foot circle comprised of twelve unique, slice of pie-shaped gardens, each dedicated to one moon cycle. The gardens are planted with native medicinal herbs associated with the compass direction that each garden faces. In the second year, the “Friends of the Medicine Wheel “ group added the crescent shaped, “Sister Moon” garden.” This garden contains plants with silver foliage that fluoresce by moonlight and “cool” colored flowers in pinks, whites, and blues. Many scented, native, and medicinal plants are featured in this garden as well. The community of volunteers and admirers continues to grow, drawing gardeners, farmers, educators, artists and nature lovers to celebrate this Sussex County hidden treasure. 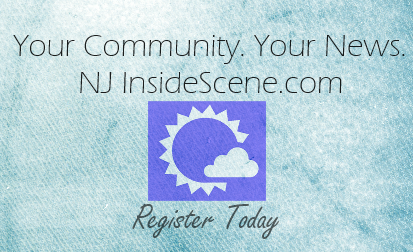 The annual spring celebration has grown beyond a celebration of the original herb gardens into a locally based festival with two days of activities in and around the gardens and also celebrating the unique art and culture of Northwest New Jersey. Workshops and seminars at the festival will include: Foraging Plant Walks, How to make Fire Cider, Compost Workshop, The World of Garlic, Hike to Outlook Lodge, and Wood Carving Demonstration. There will also be demonstrations by Whirled Revolution, craft and food vendors, a “pop up” art gallery and fun for kids. Saturday starts with a kids concert at 11:00 with Deb D’Anne and guests followed by Marafanyi Drum, Dance and Song. Local musicians will perform throughout the day till dusk including Kathy Moser, Kevin Kinsella, K Diggs and the Telepathic Funk, Hali D Band, Jeff Gaynor, Koala and Bendy Effect. Sunday entertainment starts with Josh Lafargue, kids music by Big Jeff, Jazzy Jan Loe, Milkweed, Byrdgrass, John Ginty Band, Jungle Jazz Initiative and a Mountain Jam to end the festivities. Proceeds from the event will support the ongoing projects and restoration at Lusscroft Farm and the upkeep of the gardens. The suggested donation is $5 per person, per day, kids free. For more info, including updates, directions, music and workshop schedules and presenters please go to http://medicinewheelgarden.wordpress.com/ , at www.lusscroftfarm.com or call 862-268-1557. You can also find Friends of the Medicine Wheel on Facebook or us hashtag #medicinewheelfestival on twitter and instagram.